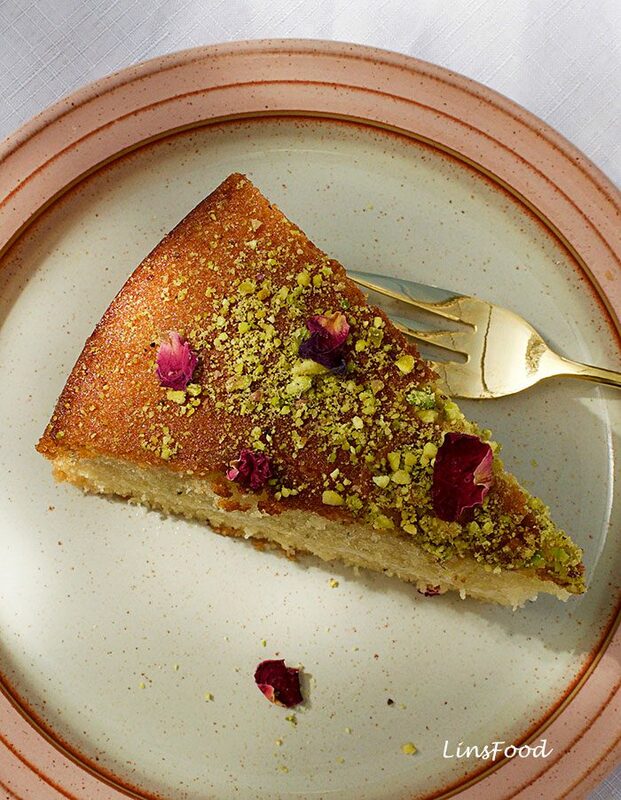 This Semolina Cake with Rose Water and Pistachios is a huge favourite in our house. I adore semolina cakes and desserts; they were always around in one form or another as I was growing up in Singapore. 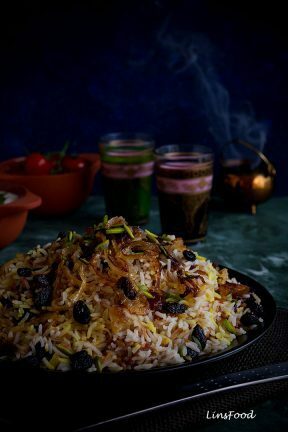 There was the Eurasian Sugee Cake, the Middle Eastern Basbousa and the Indian/Middle Eastern Sugee Halwa, the later 2, often flavoured with rose water. We also make our own rose water in the summer, when our organic roses are in full bloom. I don’t have a recipe here for that but I do have a recipe for Homemade Rose Syrup, both in and out of season. 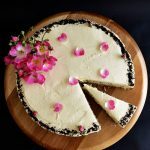 So in a household that loves semolina and rose flavouring, this cake was not a big surprise when I first made it a few years ago for my oldest, who very much loves his rose syrup. It is such an easy cake to make as well, and extremely moist, as we drizzle some uncoloured rose syrup all over it after baking. When I make this cake at home, just for teatime, I leave it as it is, no decorations whatsoever, with some clotted cream or ice cream on the side if anyone fancies it. 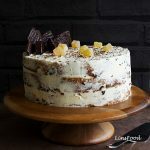 But if I’m making it for a birthday (it has long been a favourite with a few clients), then it’s sandwiched with Rose Buttercream (click for recipe) and decorated as you see here. But it remains a naked cake, no icing around it, as it is completely unnecessary. Sometimes, I even add the crushed pistachios to the rose buttercream icing. 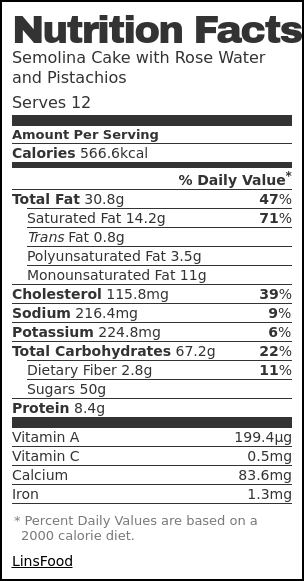 Let’s quickly take a look at a couple of things we need to know for this cake. The rose aroma is the defining characteristic of this semolina cake. Many of my readers who are in the US are always a little puzzled by this. Orange Blossom Water they are familiar with, but not Rose Water. You should be able to find rose water on the same shelf as all your other cake flavourings, like vanilla. Failing that, a cake decorating shop ought to supply it, as will all Middle Eastern and Indian grocers. The Indian rose water can be a little muskier than usual so go with a light hand. Here in the UK, all our major supermarkets stock them, and most certainly, any cake decorating shops you might have near you. Can you substitute it with orange water? Sure, but you’ll have to change the name too, then! One of my friends in France made this, but unfortunately, it didn’t turn out well. We discovered that her semolina is the wet kind, as is her ground almond mix. 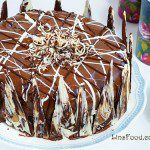 As mentioned above, you can leave it out completely if you like and serve the cake as it is or with something creamy like ice cream or cream. But we do not want to go down the Baklava and Kunafeh route and provide more rose syrup to further drench our cake with! Try and resist, I know it won’t be easy! What you can do if making this cake for a girly girl, no matter her age, is to add a couple of drops of pink food colouring to the icing. It will look so pretty with the pink/red rose petals and the green pistachios. 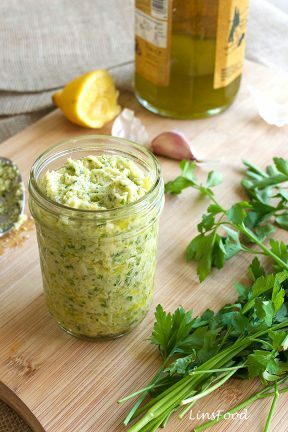 How to stop cake batter from curdling when adding eggs? This is a question I get asked a lot in my Cake Decorating classes as well as pages here on LinsFood. 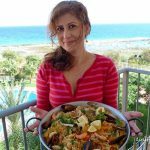 The solution is very simple: add a tablespoon of your flour (or in the case of today’s cake, semolina and almonds) with every addition of egg and beat, beat, beat, until you are happy that the egg is fully mixed in. 30-60 seconds will do, depending on the speed of your mixer. When I use my tabletop mixer, which is this Kenwood Chef Titanium, I do it for just 30 seconds because it’s super fast. But handheld beaters and a regular bowl are easier to wash up, so I only use the big Kenwood when I’m making larger cakes or a few at a time. If your cake batter does curdle, it doesn’t matter. The texture will be just slightly different but the taste will be perfectly delicious. You will only notice the texture difference if you are looking for it! How to tell when your cake is done? Insert a cake tester (long, thin, metal skewer) or a wooden skewer in the thickest part of the cake. If it comes out clean, it’s done. Another thing to note is the sides of your cakes. If the sides are coming away from the tin, the cake should normally be done. Sometimes, if a cake has a lot of liquid (like our eggless cakes), this is not always the best test, only the skewer test will do. That’s all there is to this recipe, let go Eat Cake, bake a cake! 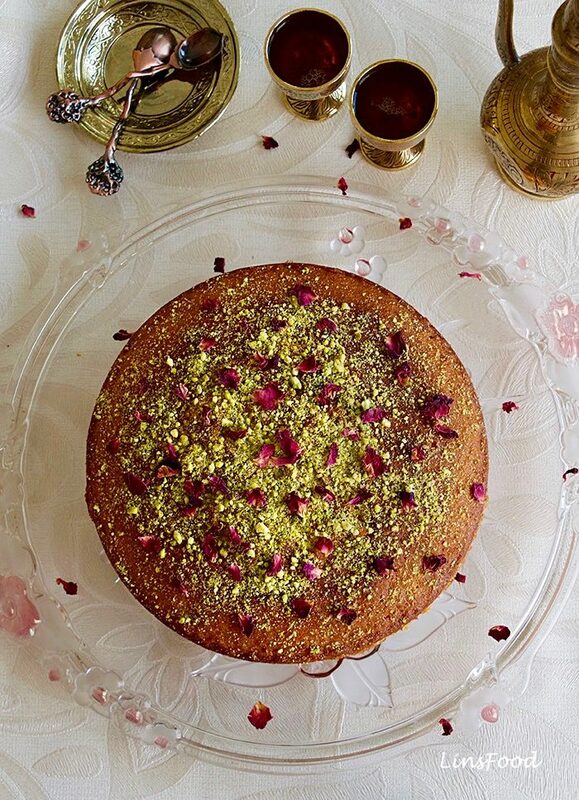 Semolina Cake with Rose Water and Pistachios, drenched in rose syrup and filled with rose buttercream. 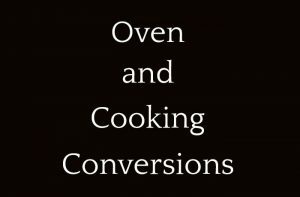 Preheat the oven to 180˚C/160˚C Fan/350˚F. You will need a 20cm (8") round cake tin. Grease and line it as required. Mine doesn't need lining, just greasing. Set aside. Place the semolina, ground almonds, baking powder and ground cardamom seeds in a large bowl, mix and set aside. Cream the butter and sugar for 1 whole minute until pale and light in texture. If your mixer has lots of speeds and you are using the highest, you can reduce that down to 30 seconds. Add the eggs one at a time, along with a tablespoon of the semolina mix with each egg. Beat at high speed for a good 30 seconds between each addition. Adding flour with your egg, or in this instance, semolina and almonds, will stop the eggs from curdling. I do this for all my cakes. If your batter does curdle, it doesn't matter, your cake will still be fine, if just marginally different in texture. After the last egg has been beaten in, add the rose water, beat for 10 seconds, then add the rest of the semolina/almond mix and beat gently until it's all fully mixed in. Pour your cake batter into your prepared tin and bake for 1 hour. If your oven runs hot, check it at the 55 min mark. While the cake is baking, let's make our rose syrup. Place the sugar and water in a small saucepan and bring to a boil, stirring to dissolve the sugar. Lower the heat right down and simmer for 5 minutes. Then turn the heat off and leave it on the hot hob. We'll add the rose water later, as we don't want the essential oils from the water evaporating with the steam of the hot syrup. Beat the butter for 30 seconds. Add the icing sugar and beat until you get a smooth mix. Beat in the rose water, you'll only need about 10 seconds for this. Cover with cling film and set aside until needed. When the cake is done (insert a cake tester), take it out. Add the rose water to the sugar syrup and stir well, to mix it all in. Very slowly, while the cake is still very hot, pour the syrup all over the cake, a little at a time to allow the syrup to be absorbed. The cake will have a slight dome shape, so pay extra attention to soaking the middle, maybe a tablespoon at a time. Leave the cake to cool in the tin for about an hour. Take it out at the end of the hour and if you are filling it with icing, wait for 2 more hours to allow it to come to room temperature. The side and top crusts of the cake will be very soft. Leave the top alone, but you can just brush off the side with your fingers. Using a serrated knife, cut your cake in half. Place the top half aside, with the cut side down. If you place it with the top down, that soft crust I mentioned earlier? Most of it will come off, leaving you with a partially bald cake. Not a disaster, as you can just cover it with a whole lot of pistachios and rose petals! Using an offset spatula (one where the blade is at an angle), spread the rose buttercream all over. If you go right up to the edge, the icing will push through slightly when the top is placed back in place. The look is completely up to you. Scatter the pistachios generously all over, and follow with some dried rose petals. 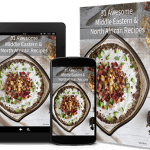 Hello, I came across your website while searching for eggless recipes and then saw this fabulous recipe. 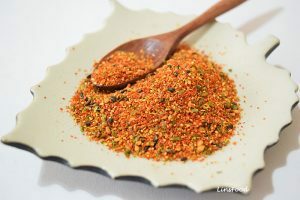 What a beautiful melding if flavors! Do you think it can be made eggless, perhaps replacing eggs with apple sauce or agar agar? 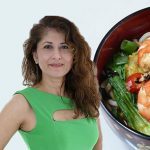 Hi Seema, from the moment I first posted this recipe, my intention was always to convert it into an eggless one, but I just haven’t had the time to do it! My first attempt at this would probably be to use a combination of buttermilk and fresh milk, probably 1/2 cup each. PLUS an additional 1/2 tsp baking powder. PLUS 1 tablespoon cornflour. The extra baking powder will be to compensate for the lift that eggs provide. The cornflour is for binding, especially because we have ground almonds here, which don’t bind as well. This will be my starting point. Chances are, it won’t create the perfect cake, and a little more adjustments would have to be made on the next try. Good luck if you are trying it. I might have a go next weekend. 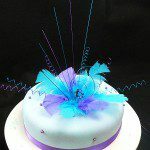 Lovely sounding cake; and I found this site accidentally! 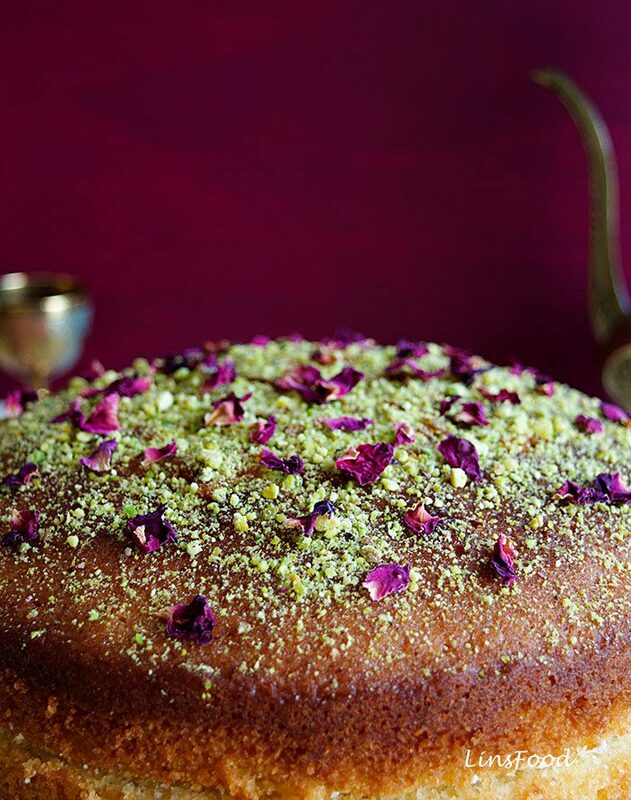 I adore rosewater, pistachio and cardamom combinations and the texture of semolina so definitely going to make this very soon! Thank you, and glad I’ve discovered you! Thank you Lalitha, well, I’m glad you found me too! 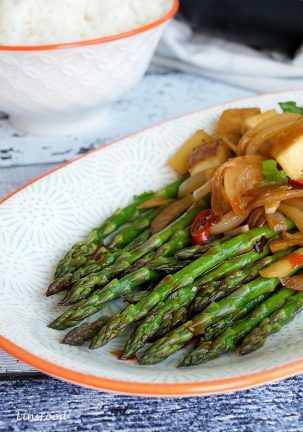 Do let me know if you try this recipe, and stay in touch! Have a fab Sunday! Hi, Azlin. I’m looking forward to trying this wonderful recipe. 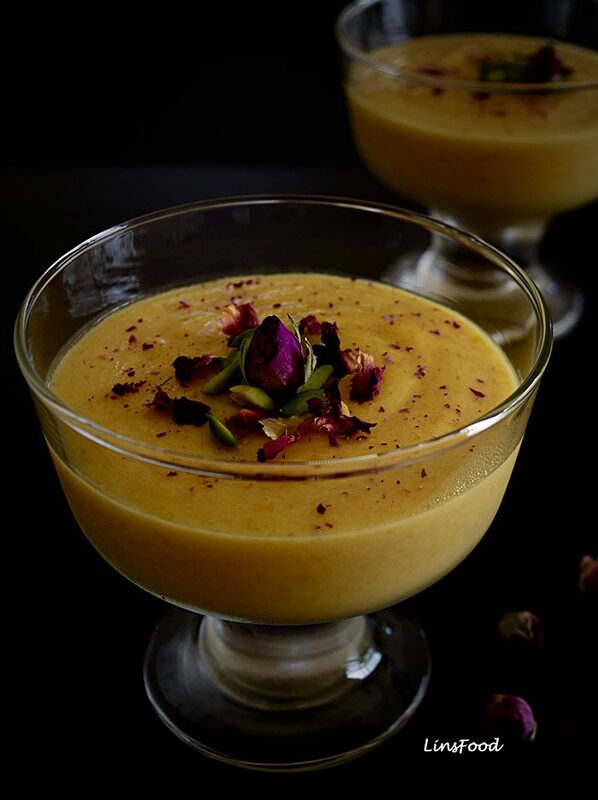 Can you tell us about how to prepare the rose petals for garnish, please? I have a rose bush that is pesticide free, but wondering if I just pick petals, let them dry, then use, or if they need to be coated in something. Thanks! Hi Sela, how wonderful to have roses you can use in the kitchen! 1. Pick the freshest of the roses, 2-3 should do. 2. Gently separate all the petals and give them a quick rinse in cool water and drain well. 3. Place the petals on a baking sheet that’s lined with baking paper. 4. Bake the petals for 10 minutes at 100˚C/210˚F or until the petals are crisp and no longer soft. They should break easily between your fingers like potato crisps. If they are not quite crisp, bake them for 2-3 minutes more. 5. Cool and use as in the recipe above. If you would like to crystalize them, coat them in egg white with a brush, then dip in fine white sugar. Let them dry for 20 minutes on baking paper, before using. I hope that helps. And I hope you enjoy the cake as much as we do! If you are on social media, post a picture of it and tag me. I’m Azlin Bloor on all platforms. 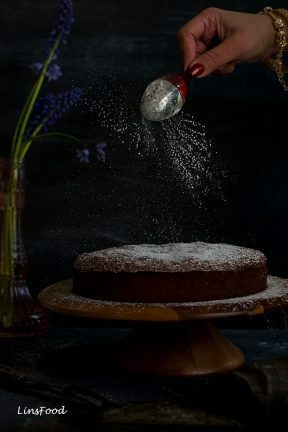 The Semolina cake is really good with the help of the rose water as it is not dry like the sugee cake that I used to make which has to be eaten fresh or finished by the next day. Thank you aria, yes, you are right. I used to dunk that sugee cake in tea or coffee the next day! Looks like an elegant dessert! I definitely want to try out rose water, you make it sound so good! This cake looks so delicious. I have always enjoyed Indian sweets made of semolina. I’m so tempted to try your recipe ! I love desserts with rose water! This sounds positively decadent! Thanks Sarah, I’d say it’s more elegant than decadent! This is a whole new level of Baking, I’d love to learn to mâle this delicious cake. Now I’m very curious about how to use roses and rose water with food! You should try out roses in your kitchen, the aroma is amazing in food, better than lavender! Yummy, I loved that you used a different type of flour that probably gives it a different texture. What a beautiful cake and the flavors must be out of this world good! I have not had cake with my favorite nut, pistachios, so I may have to try your cake out. Can I use all purpose flour instead? Yes, you can, but if you leave out the semolina, the texture will be different of course. Thanks April. WOW! This cake is stunning. Love your photos. I wish I could reach through the screen and try a piece. I guess I’ll have to make it myself soon. May be missing something, but how much rose water goes in the rose syrup? Oh my gosh! I bet this cake smells amazing fresh out of the oven. It looks divine! 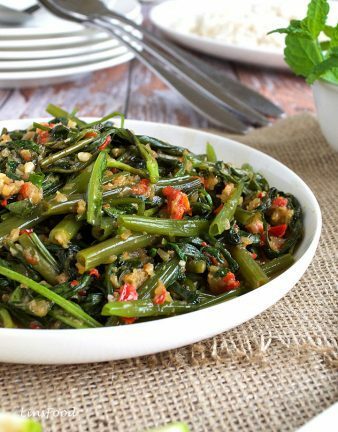 I love your flavor combination in this recipe. OMG, how beautiful and exotic looking is this cake? And I just love your photos and that little Middle Eastern coffee pot with the little cups! And you know what? I’ve been looking for something different to bake for birthdays, we have 2 this month. And this is going to be just the ticket, thank you! Thank you Jasmine! I do love set too. Let me know how it went! Incredible! I love just how beautiful and easy this cake is. I love semolina cakes because of the texture, and I am definitely making this tomorrow! Thank you for the recipe! Thank you, how did it go? It was simply amazing! In fact, Azlin, I have made it twice. The first time, I left it un-iced and served it as a tea time cake. The whole family loved it. My mum asked for it for her birthday, and so the second time, I iced it as in your recipe! It has become the new family favourite, so we all thank you! This looks absolutely amazing! 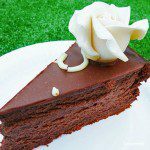 The addition of rose water to the cake’s ingredients is really clever. 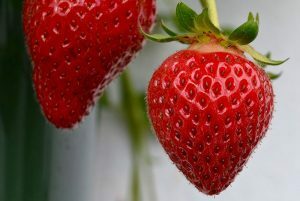 A subtle addition to the taste of the sponge, I can’t wait to make this. 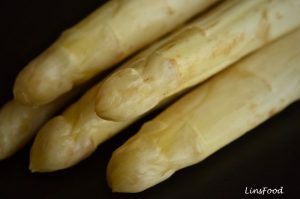 Why did you choose to use semolina? Thank you. 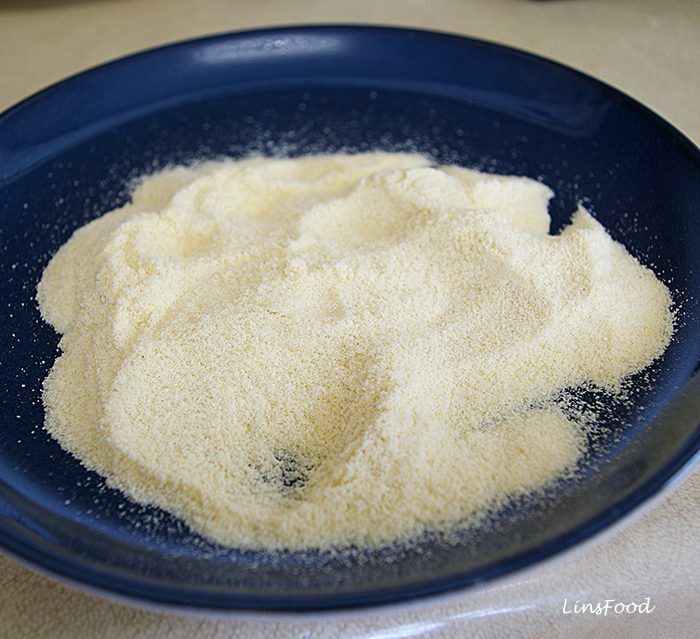 Semolina is quite a common ingredient in desserts and cakes in Asia and the Middle East. So I grew up eating semolina cakes. Wow, this must be the prettiest cake I’ve ever seen, yet so elegant and simple in design! I just love the combination that you have here. 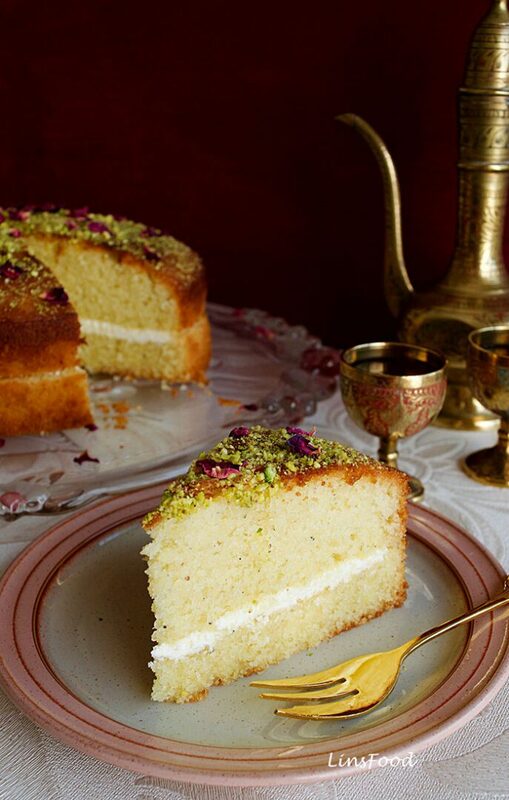 I’ve never had anything with rose and pistachios together, so I’m really looking forward to trying this cake! And definitely checking out your Muhallabia recipe too! Thank you, Joy! Let me know how it goes!